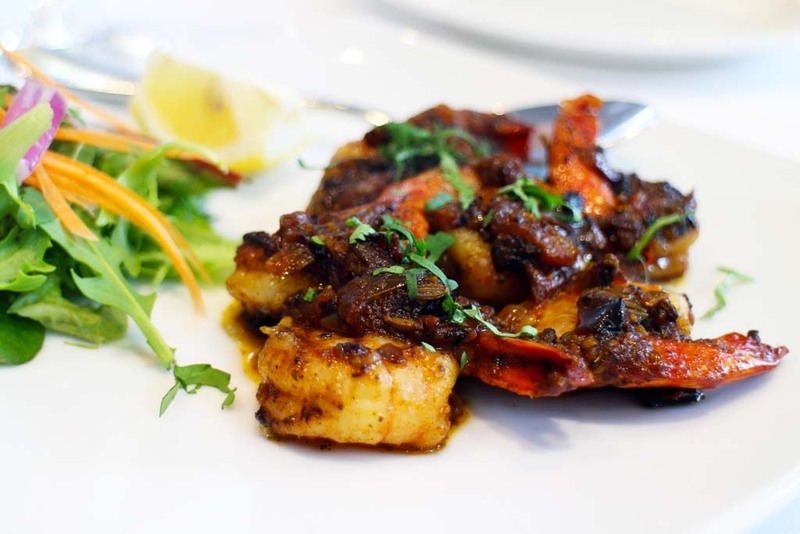 Taking my taste buds to Southern India: Malabar Restaurant reviewwhere to next? I’m not sure which is the highlight of lunch at Malabar Restaurant, the Masala Dosai, the Mysore chops or the Mellagu prawns. Or maybe it was the Goan fish curry. Or the Peshwari naan. Or maybe it was our conversation with Mohammed Sali, our host. Mohammed is from Kerala, on the Malabar Coast on India’s southern-most tip. He has been a chef for 22 years, although he originally trained as a chemist. 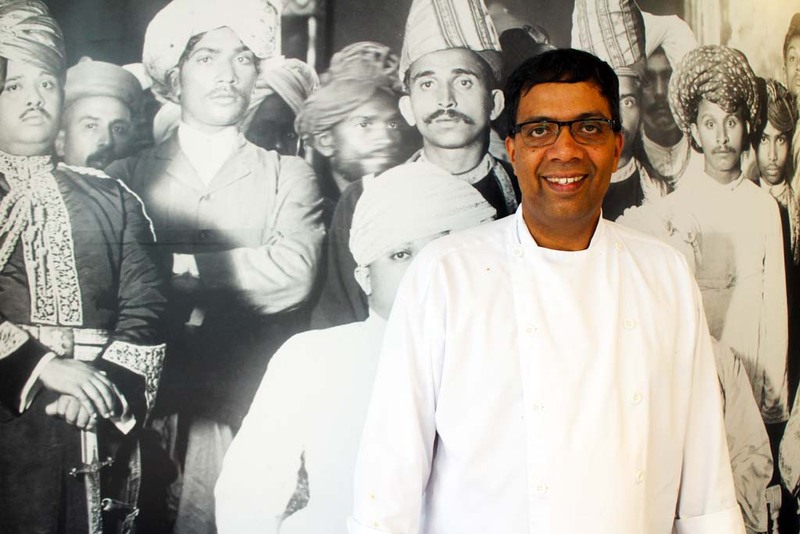 Perhaps it’s this background that inspires his passion to perfect the process of extracting flavours from the various spices he uses in his dishes. The mix of flavours in each dish is perfectly balanced, you can actually taste each individual spice – no one spice overpowers another. Our feast starts with the Mellagu prawns, flavoured with fennel, tomato and peppercorns – with just the right amount of heat. The Mysore chili chops are so tender, and even though I’m trying to pace myself, I can’t possibly leave any uneaten. Before the main course arrives, we share a Masala Dosai. An incredibly thin crisp pancake wrapped around potatoes, onion and mustard seeds, accompanied by a coconut dipping sauce. And then the main course arrives. 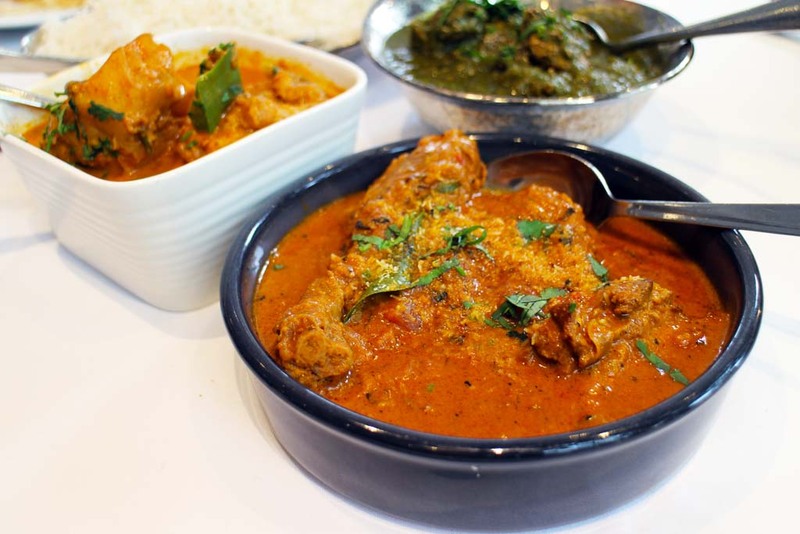 We’re sharing a Goan fish curry, Duck Moilee and Saag Chicken. The large fish fillets in the Goan curry are cooked perfectly with a light coconut sauce flavoured with kokum, a dried Indian fruit, green chili and capsicum. 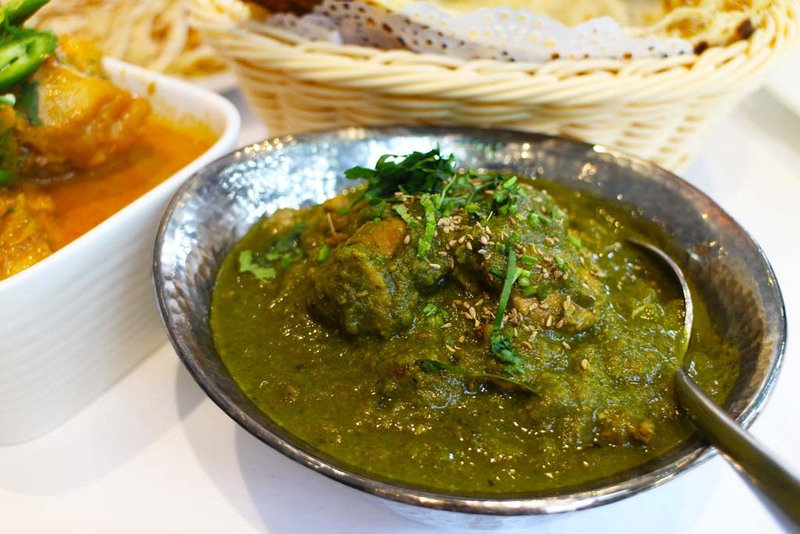 The duck Moilee has a coconut, fennel and coriander sauce and the Saag, again perfectly balanced. 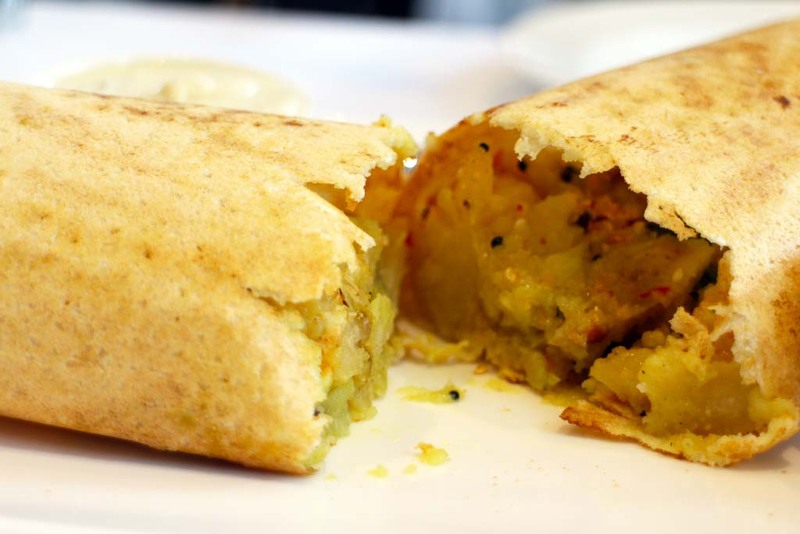 It’s served with rice, roti and Peshwari naan, stuffed with sultanas, cashews and toasted coconut. 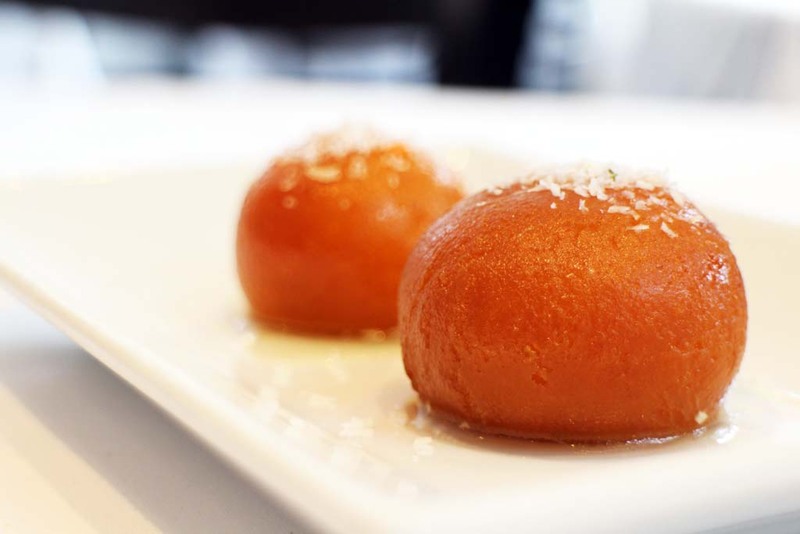 Somehow we manage to save room for dessert, a delicate, not–too-sweet gulab jamun drenched in syrup. One of the other attractions of this restaurant is that it is quiet. 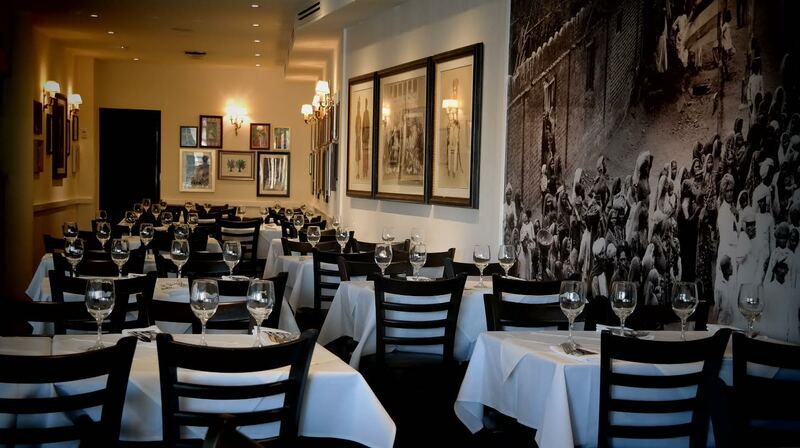 The design and décor have been carefully managed, so that even though the restaurant is busy, I can have a pleasant conversation without straining to hear what my dining partner is saying, and there’s no clattering of plates to be heard from the kitchen. By this stage it’s mid-afternoon and Mohammed is busy in the kitchen perfecting the mix of spices for the dinner menu – it’s hard to tear him away to say thanks. It’s a long day, every day preparing these wonderful meals, but it’s a job Mohammed loves. One of my fave locals! 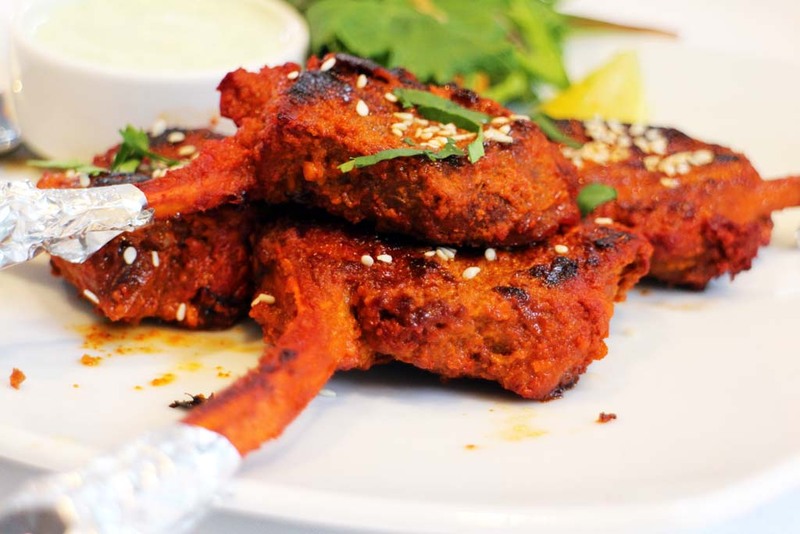 The food is wonderful – you really can taste each individual spice – not one ingredient overwhelms the other.